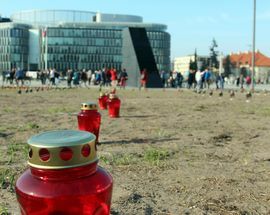 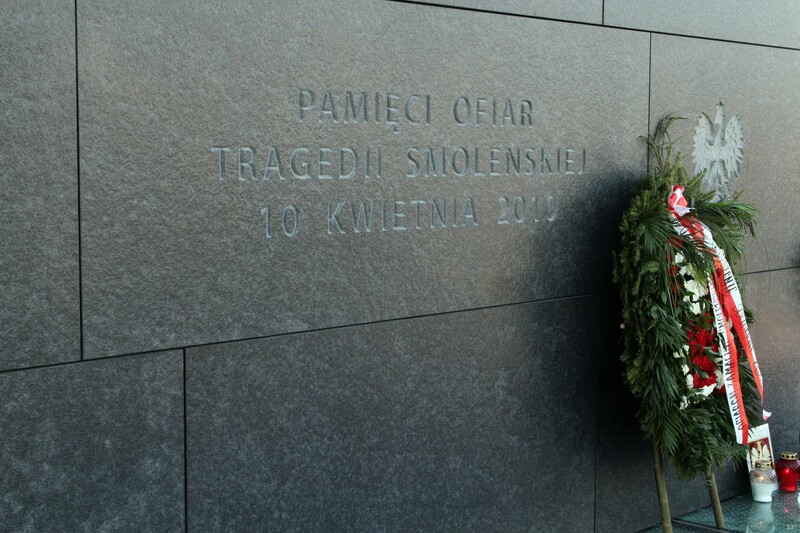 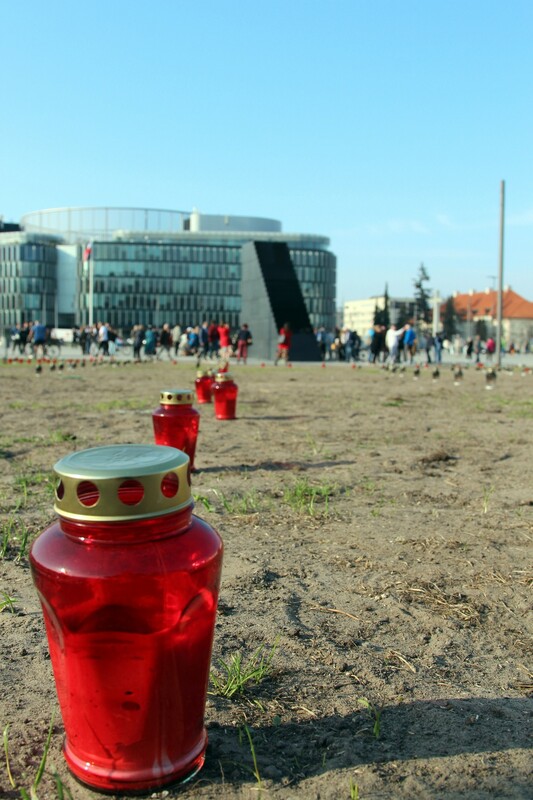 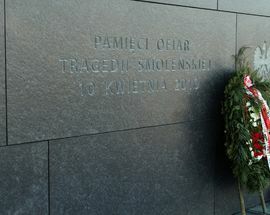 On 10 April 2018, exactly eight years after the 2010 Smoleńsk air disaster in which 96 people died, including the then President of Poland, Lech Kaczyński, and his wife Maria, a new monument was finally unveiled to commemorate those who died in the tragedy. 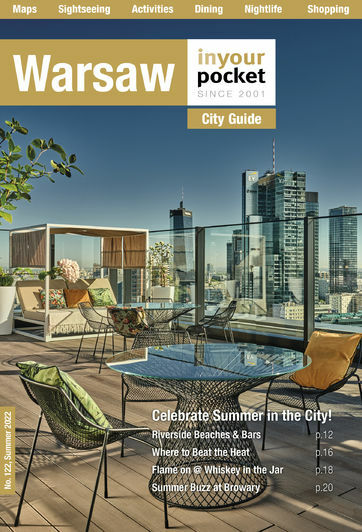 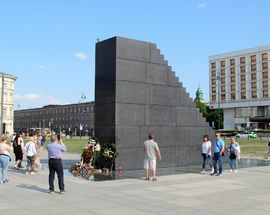 After years of deliberation, Piłsudski Square was chosen as the location from among other potential candidates, with the Presidential Palace (among others) at one point being suggested. 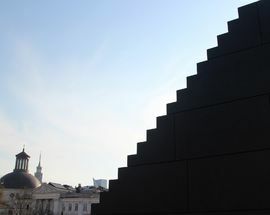 The form and design of the monument was not known until the day of the unveiling, having been hidden from view under a white tent during its construction. 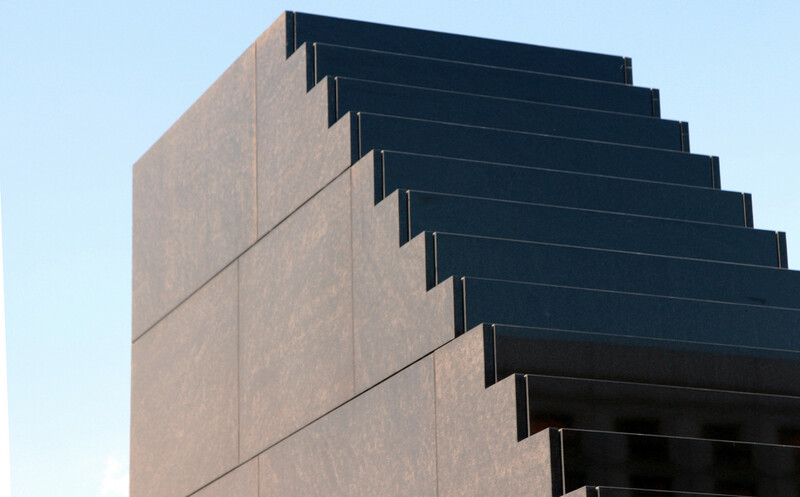 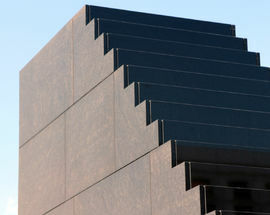 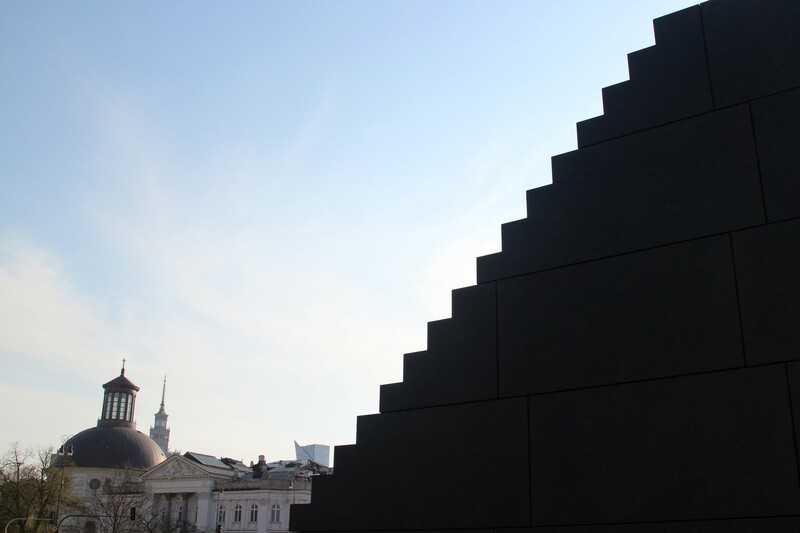 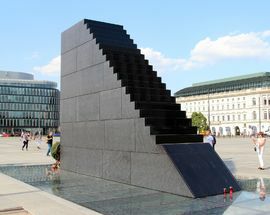 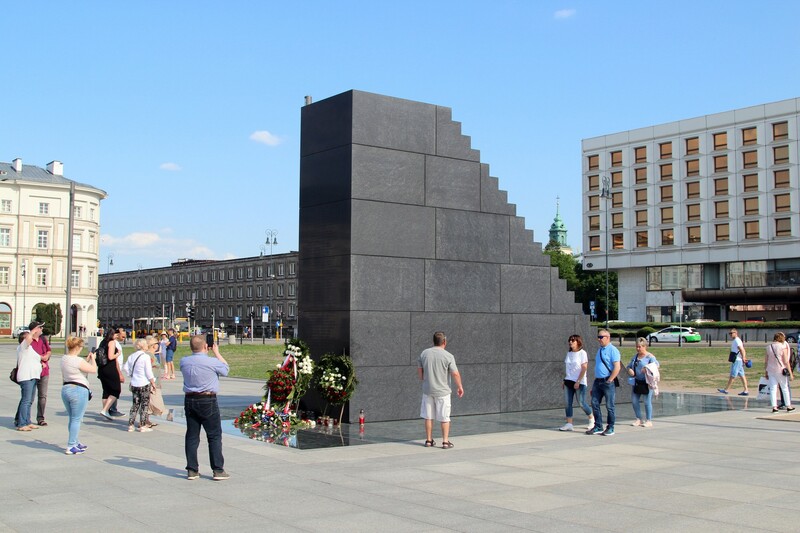 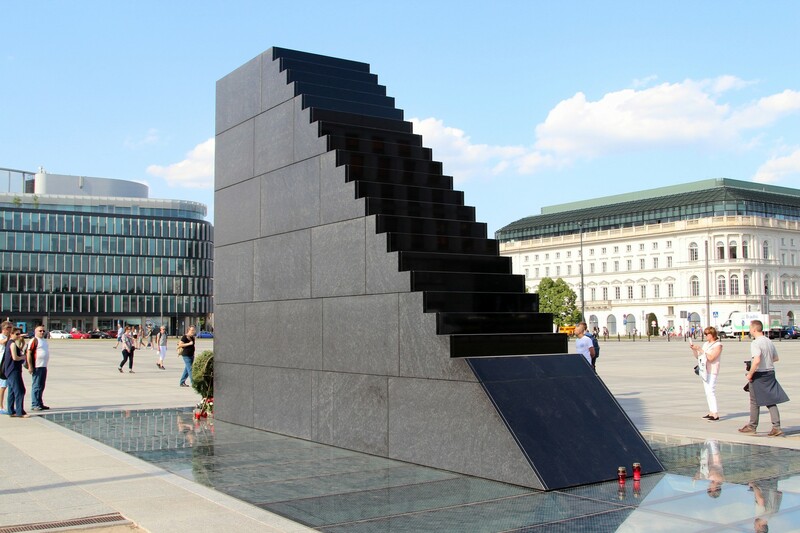 The black granite monument, built to look like the gangway stairs of a plane, has inevitably led to suggestions that it looks like a 'stairway to heaven'.